It’s up, it’s down; your wireless Internet just won’t stay connected. Why is it that your wireless network or your computer’s wireless network interface card can not acquire or maintain a decent connection? Perhaps it’s nothing to do with the hardware? Could it be Windows that is causing the problems with your wireless Internet connection? Let’s look at ways you can fix this. Is your wireless connection really poor? If you’re experiencing regular dropouts then this is clearly a problem, but you should test the bandwidth and speed of your Internet connection to establish just what is causing disconnections. For instance, there is a chance that some other device is eating up your bandwidth Does Your Wi-Fi Speed Drop? Here's How to Speed It Up Does Your Wi-Fi Speed Drop? Here's How to Speed It Up Want to speed up your Wi-Fi? Follow these methods to fix slow internet speeds that are spoiling your time online. Read More . 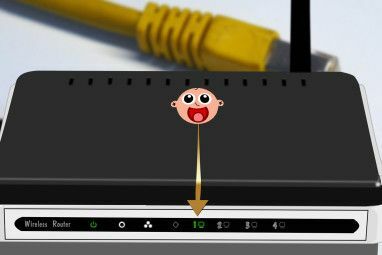 If your computer or device is situated relatively close to the router, the connection is strong but the speed low, this is probably the reason. Other things might be slowing your home network 6 Things That Might Be Slowing Down Your Home Network 6 Things That Might Be Slowing Down Your Home Network If you have more than one computer in your house, home networking knowledge becomes essential. But there are many factors which can slow down a home network, often quite easily fixed. Read More . For instance, the quality of the cable from the router to the wall might have deteriorated. 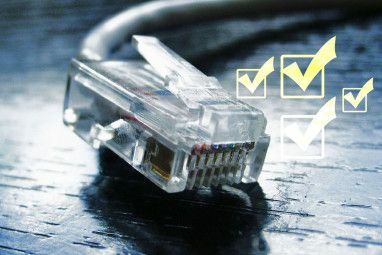 While we’re talking about cables, remember that a good quality CAT-5E cable Everything You Need to Know About Ethernet Cables Everything You Need to Know About Ethernet Cables Read More is superior to a wireless connection. Before making any real changes to your wireless Internet setup, the best thing you can do is run an Internet speed test The Internet Speed Test & 7 Ways To Improve Bad Results The Internet Speed Test & 7 Ways To Improve Bad Results Read More and use our tips to assess just what you can improve. The list of reasons why your wireless connection isn’t working correctly could be as long as your arm, or as short as your thumb. In most cases only one (occasionally two) things are at the root of the issue. Power management issues How To Troubleshoot Weak Wireless Connections How To Troubleshoot Weak Wireless Connections Read More , where Windows automatically powers down or even shuts off your wireless connection when on battery power, or when your computer goes to sleep or the monitor switches off, can often be to blame. Just as common, however, is a problem with the wireless driver. Resolving this should be a case of using Windows Update, which you can access by opening the Action Centre from the System Tray (Windows 8/.1) or the Control Panel via the Start Menu (Windows 7) and clicking Windows Update. From here, check the available updates, looking out for anything related to your wireless card. If this doesn’t work, you’ll need to visit the website for your wireless card manufacturer and download the most up-to-date driver for your device. Installing it will either be a case of running and waiting for the wizard to do its work, or the download will extract the relevant files into a folder on your C:\ drive. In this scenario, you’ll need to open Device Manager (Windows key + R, type devmgmt.msc and click OK), expand Network adapters, identify your wireless device, right-click and select Update Driver Software…. You’ll be prompted to browse for the new driver, so use the files you extracted and follow the on-screen instructions to complete the process. 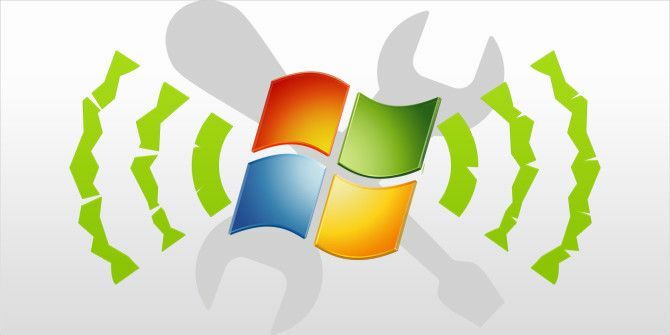 Meanwhile if you’re a Windows 8 user and have experienced some wireless networking issues, we’ve put together some tips for fixing Windows 8 wireless problems Troubleshoot and Share Your Wireless Internet in Windows 8 Troubleshoot and Share Your Wireless Internet in Windows 8 Wi-Fi problems can be obnoxious, but most can be fixed without a degree in computer networking. Your Windows 8 wireless Internet connection can be shared via cellular data, Ethernet, or even another Wi-Fi connection. Read More . Router manufacturers are increasingly adding dual band functioanlity, which can overcome wireless networking issues How Dual-Band Routers Can Solve Your Wireless Woes How Dual-Band Routers Can Solve Your Wireless Woes Using a router that supports the dual-band standard can significantly boost your Wi-Fi speeds in many circumstances. Read More , especially if you live in a residential block with various wireless routers vying for signal strength supremacy. If you think your signal should be more reliable than it is, but often find yourself only able to find your neighbour’s network, a dual band router is a good solution, as they broadcast on the 2.4 GHz and 5 GHz frequencies. It’s worth mentioning that accidentally switching your wireless card off can also be the problem. Laptops often have a function key combination to switch the device into airplane mode, or to simply disable Wi-Fi; some older notebooks also have a physical switch to enable and disable wireless. One of the oldest tricks for improving wireless network signal strength is to change the Wi-Fi channel. Slow wireless speed can often be blamed on competing wireless networks, as described above, so changing your Wi-Fi channel manually How to Pick the Best Wi-Fi Channel for Your Router How to Pick the Best Wi-Fi Channel for Your Router What's the best Wi-Fi channel for your router and how do you change it? We answer these questions and more in this quick guide. Read More rather than relying on automatic switching (which can be unreliable at best) can be a massive improvement. To do this you’ll need to log into your wireless router through your web browser, open the advanced settings and select the channel with the strongest signal. Does Your Home Have a Wireless Blind Spot? One common cause of problematic wireless connections is the design of your home, and the layout of your furniture. As explained by Ryan, it is possible to overcome many blind spots using a feng shui-inspired approach to optimize wireless reception. However, in order to have success with this, you’ll first need to establish where your blind spots are Cover Your Home: How To Find and Remove Wireless Blind Spots Cover Your Home: How To Find and Remove Wireless Blind Spots Here's how to find - and eliminate - these wireless dead zones. Read More , which can take some time. Often there is more than one. Even if you do find the blind spots, also known as dead zones, you’ll have your work cut out if your property doesn’t allow for flexibility with the layout. We’ve already shown you a way around this, however; eliminating dead zones is relatively straightforward What Is A Wireless "Dead Zone" And How To Eliminate It? What Is A Wireless "Dead Zone" And How To Eliminate It? We take Wi-Fi for granted, but it's not magic -- it's radio waves. These radio waves can be interfered with or obstructed, producing wireless "dead zones" or "dead spots." Read More if you know what you’re doing. Perhaps your home doesn’t have blind spot; you just receive a perpetually weak signal. The solution here goes beyond wireless feng shui, and into the realms of common sense and logic 8 Tips to Effectively Boost Your Wireless Router Signal 8 Tips to Effectively Boost Your Wireless Router Signal If your wireless router's signal doesn't seem to reach very far, or if your signal keeps dropping for some weird reason, here are a few things you can do that might fix it. Read More , things like replacing your computer’s wireless card (perhaps in favour of a USB device), replacing or enhancing the antenna on your router (although many modern routers have integrated antennae) or simply moving your router into a better position. As you can see, wireless signals can drop for many reasons, and many different fixes are currently used to overcome these problems. 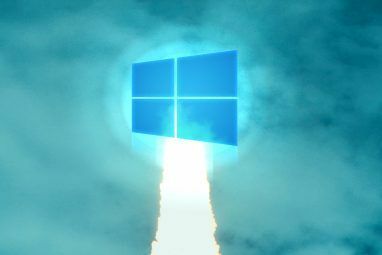 Luckily, they don’t affect everyone, so if you’re unfortunate enough to be experiencing wireless connectivity issues in Windows, you should find that with a reboot and a few minutes of patience that you have fixed the problem yourself. Do you have any wireless issues that persist after reading the solutions linked to here? Tell us about your problem in the comments box. Explore more about: Bandwidth, Drivers, Wi-Fi, Windows 7, Windows 8, Windows 8.1. I am using a WiFi router for many years which has been working fine at home with my Windows Vista system. Another Windows XP system has also been working seamlessly as is an IPad. For the past 2-3 weeks, the modem has been causing issues connecting through the laptops - windows and iPads. However, my primitive Android mobile connects to the WiFi and I have successfully used it as a bridge by tethering..The laptops works fine through this method. So what could have changed. The ISP has no clue about this and all they can come up with is the router needs replacement. But I feel it is some protocol issue. When I run a DELL diagnostic on my WiFi on the Vista laptop, it fails the test for Internet Ping on the DNS server. Interestingly, when I run the tests, it somehow does connect to the Internet, gives that last error and works for checking mails but when I try accessing some website sites it is unable to resolve NAT and then the status of WiFi goes from 'Connected to the Internet' to 'Local Connection'. I feel this is definitely some protocol issue but cant seem to get a technical person to resolve it for me. Any chances of help? Yesterday I updated a couple of drivers on my PC and then my internet didn't work. I do have Internet connectivity to my phone and iPad but not my PC. What happened? That is a pretty vague description of your issue. You mentioned PC is that a desktop or laptop. You say phone and iPad are working so I am guessing you mean a laptop and wireless (as the other devices are wireless). What drivers did you update--Were they your Lan or Wireless drivers? Sometimes updating a wireless driver will lose your automatic connection to your Wireless and you may need to reconnect. Does your device connect to wirless but NOT get internet(May be a Yellow Triangle on your wireless? If you mean the manual switch that most laptops have...and your manual switch is dead/broken inside and on the outside, you may be stuck. However, if the manual switch is only broken at the movable switch on the outside, the switch may be able to be switched to ON by using a small paper clip. If it is broken on the outside so that a paper clip won't switch it on, you may have to open up your laptop and can try to switch it ON from the inside of the laptop. Be sure to remove your battery and any other power to the laptop before doing work inside it. If it is just a physical problem with the WiFi switch you can try the following. If the physical WiFi switch is broken on the outside, you may be able to use a paper clip or something else small to move the swtich. If the outside switching parts cannot be moved or don't turn the WiFi card on, you can try opening up your laptop and moving the switch from the inside of the laptop. If the switch is moved from inside or outside and still doesn't enable it, I would do more searching on the internet for other options. (Wlan USB stick, shorting switch connection). The wireless card may just be bad if the switch is moving fine. Before doing any work on the inside of your laptop, be sure to make sure the laptop is off and remove any power source (including battery) to the laptop. Thanks! I was having some issues with my WiFi and this has helped! Is any of the above solutions relevant for my D-Link DSL 2730U whose wireless indicator LED has gone "dim"? Thanks. Unfortunately this is not the culprit. I have "obtain an IP address automatically" and "obtain DNS server address automaticaly" both checked. I have a strange problem. My laptop sometimes loses internet connection during work. The wireless signal is strong but a yellow triangle is superiposed on it which shows that there is no internet. Switching the router off and on or rebooting the computer does not help. Temprary disabling the antivirus does not help.The only "medicine"that cures the problem is system restore. Any suggestion ? Had the exact same problem with a replacement laptop I got from my company yesterday. I compared my settings to a coworker's and finally found the culprit. Open the Properties tab of the wifi's IPv4 (or IPv6)...make sure "Automatically obtain DNS server" is checked. Thanks, Angie - that solved a problem I was having with my netbook in the house! I recently switched to a 38mb/s broadband service but via wifi I was only getting 16 through a few walls. After a bit of research I decided to buy a new antenna for my wi-fi card(TP-Link TL-WN881ND). That card comes with two 2dBi antennas and I replaced one of them with the TP-Link TL-ANT2408C which is a 8dBi desktop antenna. This has got my speed up to 36mb/s and it was a great buy as well at only £8.